How to switch letting agents in Nuneaton with ease! 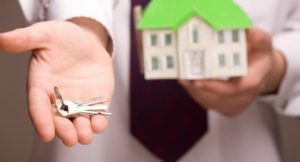 Whether you are receiving my Nuneaton Property newsletter for the first time or are a seasoned reader, you’ll not be surprised to learn that we have started to attract many landlords seeking advice with their residential lettings. Ultimately, they are seeing a better and more professional service from an agent who is firmly established, than they receive from their current letting agent. We are getting more and more landlords approaching us who are unhappy or dissatisfied with their current agent and have been asking us how to go about moving management of their property to us. If you have a property in or around the Nuneaton area and are unhappy with your current agent, then why not switch? There is a general feeling amongst landlords that it is better to wait until their current tenant has given notice to leave the property before they even contemplate changing agents, as it is far more problematic to change agents midway through a tenancy. While this can be true, it is not your hassle as we can do most of the work for you! You will need to find out how much, if any, notice you are required to give your current agent as detailed within the Terms and Conditions you signed at the start of your contract. When you have determined your notice period, give the required notice in writing to terminate your agreement. If you need any advice regarding this, please contact us. It may help if your notice coincides with your current rent due date as it will make the switching process much more straightforward. If you are on a fully managed service then it would be wise to obtain the contact details for your current tenant. Your agent should give you these. We will arrange to meet you, either at your home or at our offices, where we will go through our terms of business. We will also outline our lettings process and our commitment to providing an unrivalled lettings and management service. We will provide you with all the necessary paperwork for you to read and complete. We will arrange to meet your current tenant at their property to explain everything to them. We provide them with a welcome pack which includes a new standing order to pay their rent. We can also advise on cancelling their existing standing order. Part of this transfer may include a new tenancy agreement for the tenant to sign. This is to protect all parties as all of our tenancy agreements are updated regularly for changes in legislation. We will also deal with any necessary deposit transfer/registration. Both you and your tenant will be assigned a dedicated property manager who will be your contact throughout the tenancy, should any matters arise that require our attention. That’s it. It really is that easy! If you are looking for an agent that is well established, professional and communicative, then contact us to find out how we can get the best out of your investment property.